“It was a perfect life. And it was hard for Eric Sanders to imagine how things could be any better.” So begins the novel Christmas Gifts, Christmas Voices. Eric seems to have resolved all of life’s major issues, but in an instant, his world falls apart. While wrapping Christmas gifts for his wife and children, a policeman knocks on the door to tell him that his family was killed in a car accident. Consumed with grief, he knows it will take a Christmas miracle to ever find peace again, let alone enjoy the holidays. His world is in ruins. 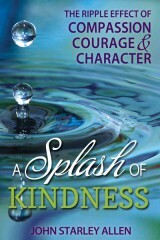 Amazingly, Eric finds that peace through the giving of the special presents he so lovingly created for his family, and from that simple gesture learns that giving to others with joy and love has a ripple effect. He discovers the true meaning of Christmas and, in the echo of the Christmas bells, realizes that death is not an ending but a transition. Love can never be extinguished. 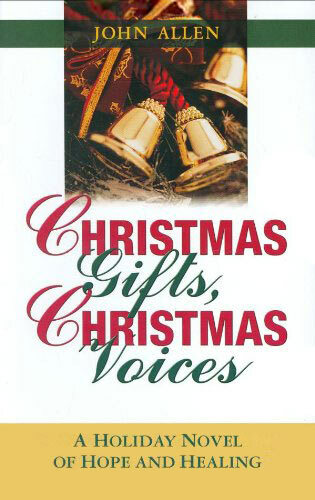 Christmas Gifts, Christmas Voices is a heartfelt look at love and the fragility of life. This tiny treasure of a book will inspire readers to take pleasure in the wonders of everyday life and cherish each special moment – and it is sure to be this season’s most talked-about holiday novel. This song plays a pivotal role in the story of Christmas gifts, Christmas Voices.